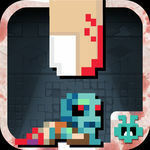 The Tapping Dead — iOS app For Sale on Flippa: The Tapping Dead - IOS & Android Zombie Retro Pixel Game! The Tapping Dead - IOS & Android Zombie Retro Pixel Game! The Tapping Dead was launched in May of 2013 as a side business of Wontonmedia LLC. While initial successful with o 280k downloads, it was not our industry & we could not continue promoting it.